So many mysteries the last month or so. A popular author kicks off a new series, while another chooses to end a longtime favorite. Star turns by trusted detectives, past crimes leading to present-day puzzles, procedurals, capers, a serial killer — or two. 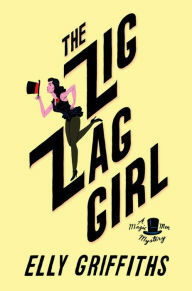 Elly Griffiths, whose Ruth Galloway series is known for its engaging characters, introduces another memorable cast in The Zig Zag Girl (Houghton Mifflin, digital galley), set in 1950 Brighton. Police detective Edgar Stephens and magician Max Mephisto both served in a special ops/disinformation group known as the Magic Men during World War II and reteam as sleuths when someone starts killing people by restaging famous magic tricks. Atmospheric, clever and appropriately tricky. Encore, please. 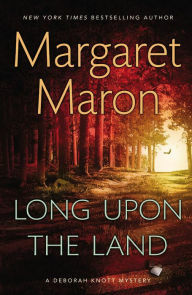 With the evocative Long Upon the Land (Grand Central, library hardcover), Margaret Maron brings her long-running Deborah Knott series to a close by circling back to Deborah’s complicated family history as bootlegger Kezzie Knott’s daughter. She marries a contemporary mystery about a dead man found on Kezzie’s North Carolina farm to one with roots in World War II, when Deborah’s mother Susan befriended both a young soldier and widower Kezzie. In both cases, Deborah needs answers from her many older brothers, her aunt and her father, as well as others with long memories. Sweet and bittersweet. 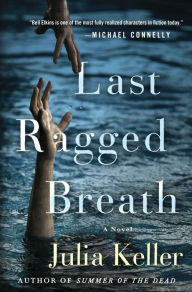 Land is also at the heart of Last Ragged Breath (St. Martin’s Minotaur, advance reading copy), Julia Keller’s fourth entry in her excellent series featuring prosecutor Bell Elkins. A native of the hardscrabble West Virginia mountain town of Acker’s Gap, Elkins is familiar with the area’s history, even if the disastrous 1972 Buffalo Creek flood was before her time. Royce Dillard was only two when he survived the rushing waters that claimed the lives of his parents and more than a hundred other souls, but now the solitary dog-lover’s life is imperiled once again. He is on trial for the murder of an outside developer on his land. The circumstantial evidence points to Dillard, but Elkins has her doubts, well aware of the passions aroused by the dead man and his plans that could forever change Acker’s Gap. Like her protagonist, Keller knows the landscape and its residents. Unlike Elkins, though, she also knows dogs. I fell hard for Goldie. 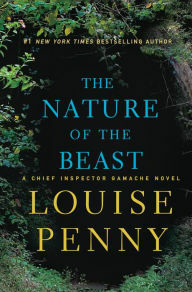 A boy cries wolf once too often in Louise Penny’s The Nature of the Beast (St. Martin’s Press, library hardcover), a stunning addition to her Inspector Gamache series. I was disappointed by the last one (choppy writing, digressive plot), but this one took my breath away as the isolated Quebec village of Three Pines is invaded by suspicion and betrayal with far-reaching moral consequences. All the familiar characters are on hand, including Henri the dog and Rosa the duck, as Gamache resists peaceful retirement in his search for answers. What little Laurent finds in the woods is real and fearsome. 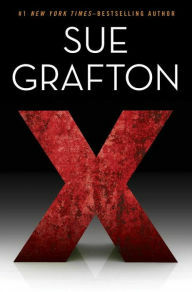 The only problem with Sue Grafton’s X (Penguin Putnam, digital galley) is that it means we’re nearing the end of her alphabetically titled series starring PI Kinsey Millhone. As always, it’s a treat to watch Kinsey using the old-fashioned tools of the trade circa 1989 to catch criminals. Here, knocking on doors, using library reference books and looking at public records in person has Kinsey figuring out frauds large and small, even as the private files of a late colleague lead to a trail of missing women and a serial killer. Yikes! The colorful characters include a wily divorcee, a slick sociopath and annoying new neighbors for Kinsey and her elderly landlord Henry. 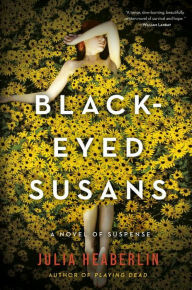 The plot of Julia Heaberlin’s thrilling Black-Eyed Susans (Random House/Ballantine, digital galley) reminds me of an episode of Criminal Minds but minus most of the gory details. In 1995, 16-year-old Tessa was found buried alive under a blanket of black-eyed Susans in a Texas wheat field that served as a grave for three other girls. Tessa, who only has flashes of memory of her traumatic experience, nevertheless testified at the trial of the presumed killer, who was sent to Death Row. Now, with his execution only days away, Tessa reluctantly agrees to help a defense attorney and a forensics expert trying to free the condemned man by finally identifying the other victims. Heaberlin alternates between past and present, piling on the red herrings, and Tessa struggles to recover her memory. The ending’s a bit muddled and unevenly paced, but Heaberlin’s third book will keep you up all night. 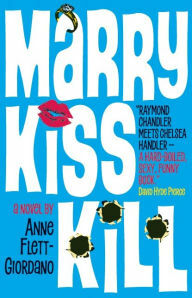 With its snappy dialogue and cinematic scenes, Marry Kiss Kill (Prospect Park Books, digital galley) reads like a rom-com caper TV movie — no surprise since author Anne Flett-Giordano’s writing and producing credits include Frasier and Hot in Cleveland. With the glitzy Santa Barbara film festival as backdrop, police detective Nola MacIntire and her partner, Tony Angellotti, try to solve the case of a murdered street artist while also looking into the suspicious death of a wealthy businessman. Nothing especially original here, but appealing characters and a spritz of name-dropping make for fast-paced fun. Keeping up with so many series means I hardly ever run out of new mysteries to read. 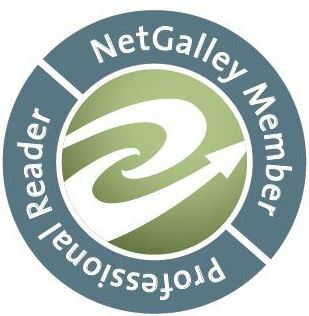 A shout-out to the Witness Impulse imprint that introduced me to several excellent writers from across the pond, including Brian McGilloway, whose Lucy Black series is set in Northern Ireland; Mari Hannah, whose Kate Daniels series takes place in Northumbria; and Alison Bruce, whose Gary Goodhew procedurals are set in Cambridge. 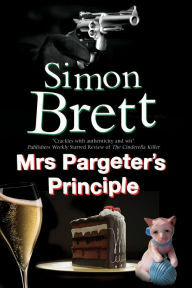 I also count on British publisher Severn House for witty new tales from Simon Brett, who writes the Charles Paris series and the Mrs. Pargeter books. Severn also publishes new mysteries from American writers (and Facebook friends) Clea Simon and Sarah Shaber. Recommended all.